Imagine being able to access and control all the important features of your house from your home or at a distance. Think of the smart devices you currently use to make your life easier – mobile phones and voice activated assistants, for example. 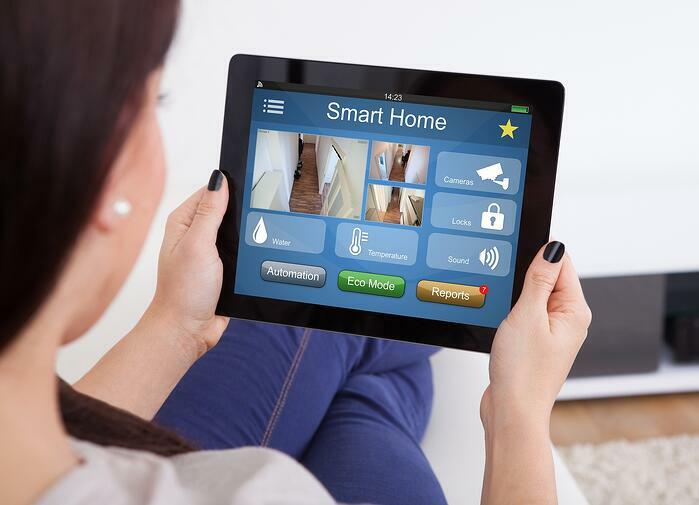 Now imagine the convenience of smart devices that can communicate with one another within your home. Devices within this system connect and communicate with each other over a local wired or wireless network. This often, but not always, requires system management software or apps, the installation of the devices, motion sensors, temperature sensors, and related components. You don’t have to do it all at once. The beauty of these smart home options is that the features can be added in pieces. If energy efficiency is your main concern, your first step may be simply adding a smart thermostat. How to get started? Contact Wilcox Electric. With an initial phone conversation we will assess what you want and the options available. Based on the scope of the work we can coordinate with your other contractors. Please submit the form below to request an appointment. If you are interested in more than one kind of service, let us know. When we follow up with you we will get details and schedule visits by one or more technicians to address all your areas of interest.